Conditions are devastating and change comes slowly for the refugees in the Kara Tepe camp, on the Greek island of Lesvos. CPT team visits the camp regularly. Read about the experiences of our summer delegate Johanna Kaprio. The text was first published on July 19 on Kaprio’s blog The Deep Blue Border. We are in Kara Tepe, a camping area on the island of Lesvos where thousands of refugees wait for their documents to be processed so that they can continue their journey to Athens, and from there to continue their asylum process in other European countries. There is no doctor in the camp, although thankfully we know that the Doctors Without Borders (MSF) will start operating here in the coming days. The municipality of Lesvos opened Kara Tepe in spring 2015 as a temporary holding place for about 1,000 persons – on the worst days there are over 3,500 persons. Afghan father preparing dinner and heating water at Kara Tepe camp. The camp is usually full of garbage. Litter next to the water pumps, next to the firepits where people cook. Next to the overcrowded tents where families of up to twenty persons sleep and areas where children play. Thankfully, some days ago a group of volunteers came and cleaned parts of the camp, and the rest will be cleaned soon. It helps for a while. They even cleaned the toilets, as up until now it was impossible to enter them. Before that, no one had cleaned them for weeks. A nauseating smell filled one’s nostrils many meters before entering the women’s toilets, six altogether, which are supposed to serve thousands. Boy sits in the shades of a shelter made out of waste bags, surrounded by dirt water and litter. There is just one problem. With all due respect to the Greek and international volunteers who come here to clean, to give food, hygiene products and clothes – donations of locals, tourists, and from abroad – you cannot expect volunteers to have the resources run a refugee camp of thousands. What are needed here are an organized camp management and a coordinated humanitarian aid response. Moreover, it needs to be an internationally supported one. Not only because the country is in an economic crisis. The refugee crisis is not a Greek challenge, or an Italian challenge. It is a global challenge, and where we are – a European challenge. The Europeans may not be used to the idea of having refugee camps inside the EU territory, yet the sooner we wake up to the current reality, the better. The UNHCR has called for an urgent emergency response from Europe before the humanitarian situation deteriorates further. So far international response has mostly been lacking. My team had a long discussion with Spyros Galinos, the Mayor of Lesvos, about the refugee situation. He expressed his frustration. In the last two months island has received hundreds of journalists. Indeed, all big media agencies are represented here. Yet no significant help has come. “Our European partners have left us alone to help the refugees,” says Galinas. 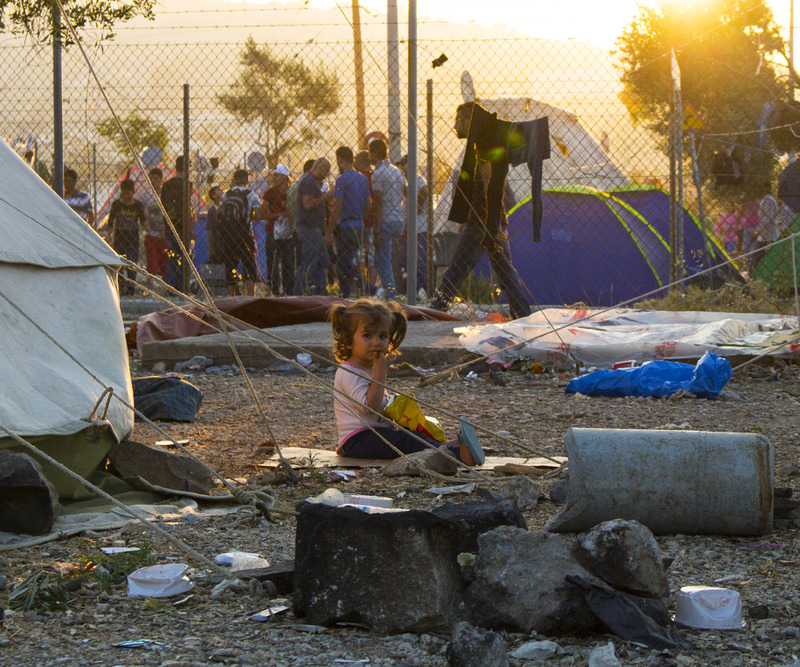 The people we meet in the camp just cannot believe that they are here. Mostly they didn’t want to leave their countries, but had no choice because of wars and conflicts there. They come from all walks of life. Mostly, they are just ordinary families with ordinary lives and ordinary hopes of good life. Their journey to Greece was difficult and even dangerous. In their path towards safer life, Kara Tepe is a shock. 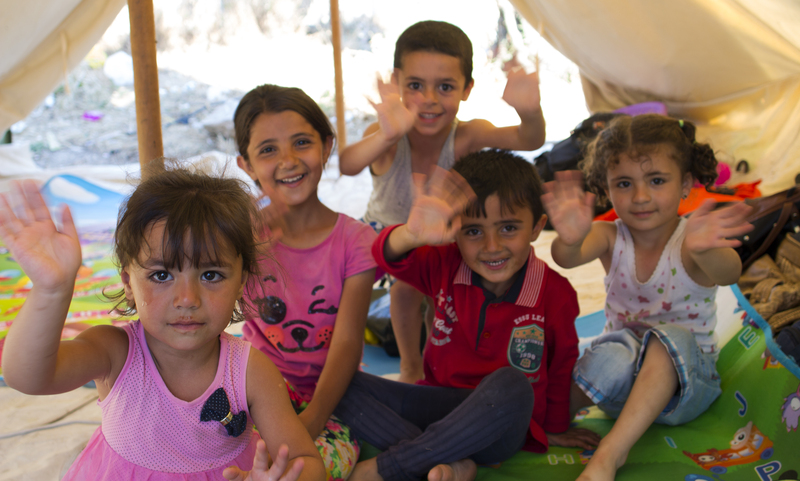 I meet a Syrian family of twenty persons, sharing one tent. The adults sit on cardboard on the ground and the children play inside the tent. “I could never have imagined finding myself and my family in these conditions,” says the father of the family. He and his wife are lawyers, and one of their daughters is a schoolteacher. Most of their children are very young. The family fled from Aleppo not long ago and is now heading towards Germany, where they hope to continue their careers and live in safety; until the day comes that they can safely return to their home again. But for now, all they can do is wait for their documents, be patient with the conditions—and hope that Europe treats them kindly. “Things can only get better,” someone says, as we wish them well after our long conversation about the conditions in the camp. I certainly want to believe that.